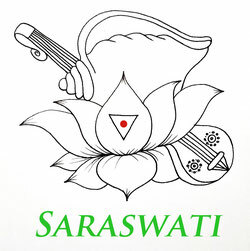 Swakriya Yoga Teacher Training - saraswatiyogas Webseite! The practice of Swakriya Yoga with asanas and pranayamas, their benefits, the different sequences of element asanas, priciples of different pranayamas, how to balance the elements through pranayamas. Antranag Kriyas. The seven chakras. The selected vereses from Bhagavat Gita which are very helpful in our day to day life. An introduction to the subtle energies of the elements, their mantras, their pujas. Learning different invocations to connect to the Deities. Group practice with trainer, individual practice with mentor, guided counselling, we encourage the students to practice the teachings thoroughly before they begin teaching. Tantric basis of swakriya philosophy. Deepening the practice of Swakriya with asanas and pranayamas, their benefits, the different sequences of element asanas, priciples of different pranayamas, how to balance the elements through pranayamas. Antranag kriyas. The seven chakras and kriya practice.